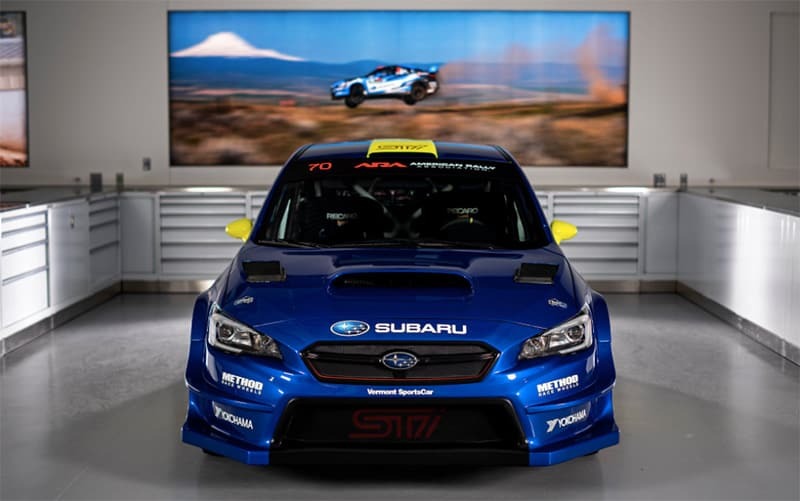 Subaru of America have announced the addition of rising rally talent Oliver Solberg, son of Subaru World Rally Team legend and 2003 World Rally Champion Petter Solberg, for the 2019 American Rally Association (ARA) championship season. The younger Solberg will bring back one of rally’s most iconic pairings – the Solberg name on a blue and gold Subaru WRX STI – and join David Higgins and Travis Pastrana in a loaded driver lineup for America’s most dominant stage rally program. At the age of seventeen, Oliver Solberg has already established a name for himself in international rallying; the recently crowned RallyX Nordic champion has also seen success in Crosskart racing, taken overall wins in European stage rally events, and become the youngest driver ever to compete in a World Rallycross Supercar. Solberg and British co-driver Aaron Johnston will compete for the 2019 ARA title in a total of six U.S. events alongside defending ARA champions and seven-time U.S. rally title-winners David Higgins and co-driver Craig Drew. Action sports icon and five-time national rally champion Travis Pastrana will also return to the Vermont SportsCar-prepared Open 4WD class WRX STI for select events alongside co-driver Robbie Durant. “I don’t think anybody could begin to understand what a big deal this is for me,” said Oliver. “I was two years old when my father was World Rally Champion and remember so well how proud I was of dad wearing blue and yellow and driving a car of the same colour. I even still today have the Subaru bed sheets. Higgins said, “It’s very cool to have a Solberg driving a Subaru again. A generation of rally fans grew up watching Petter doing incredible things in a blue and yellow car with gold wheels – to see that Solberg name on the side of one of these cars will be mega. “We did Wales Rally GB in a Subaru liveried the same as Colin McRae’s 1995 title-winning car in 2015 and the response to that was huge. People have such fondness and affection for these colorus; when I heard we were going back to the blue and yellow livery for this year I was delighted.